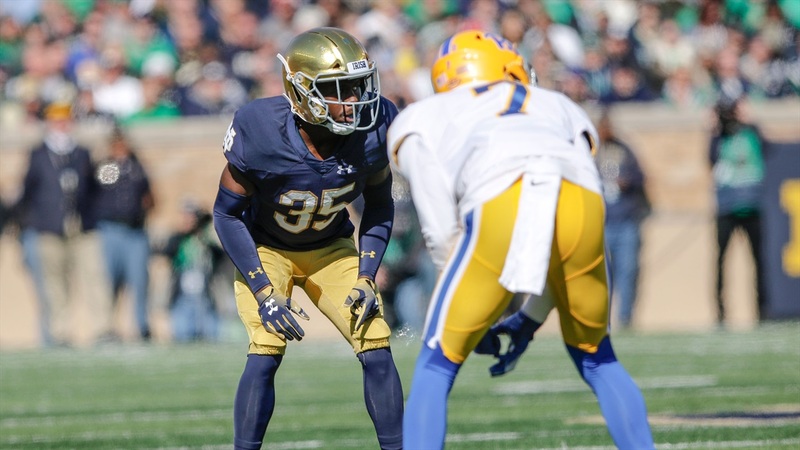 There weren’t many weaknesses on the 2018 Notre Dame defense, but if anyone had to choose one, it would have likely been at nickel corner. It wasn’t expected to be up until the week before the season when Shaun Crawford tore his ACL. A healthy Crawford would have given the Irish a veteran presence at the position. Without him there wasn’t a backup plan that the coaching staff could feel confident of going forward. They ended up using safeties Nick Coleman and Houston Griffith at that spot.